The Tune Saver is a backup power source for your car's computer so it will keep it's memory if the battery dies or is disconnected. Designed for a Turbo Buick, but could be used on other cars with tweaks to the wiring. This enables the ECM to remember any learned data, or parameters, if you have an adjustable chip. It is plug and play, and installs into the single orange wire for the ECM's memory. 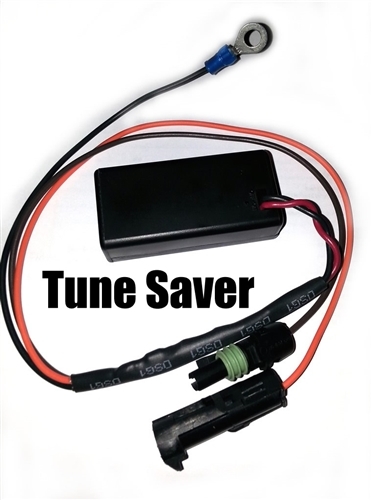 We normally place it under the MAP sensor, and run the wires down towards the battery.